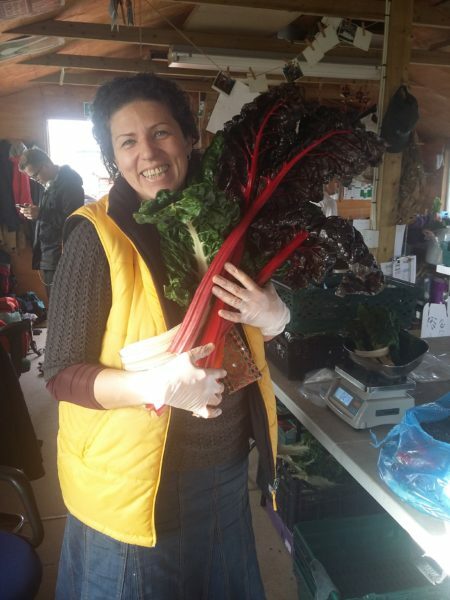 Pavlina is our Sales and Communications Coordinator, a role that is key to the running of the VegBox business at the farm. Before joining the farm team in June 2015 Pavlina worked for the national VegBox scheme of Abel & Cole. During her time at Abel & Cole Pavlina led, trained and supervised a sales/canvassing team as well as setting up, organising and selling at events. This gave her a good understanding of VegBox customer behaviours and the nature of the VegBox business. Pavlina has worked in sales and marketing for the last 20 years and has experience in product development, setting up new businesses, establishing new products and managing small businesses. At the farm, Pavlina and Sarah lead a team of loyal volunteers who prep and pack the VegBoxes for the customers every week.